By 2020 an estimated 78% of SMB’s will be using the cloud to run their businesses, but why? 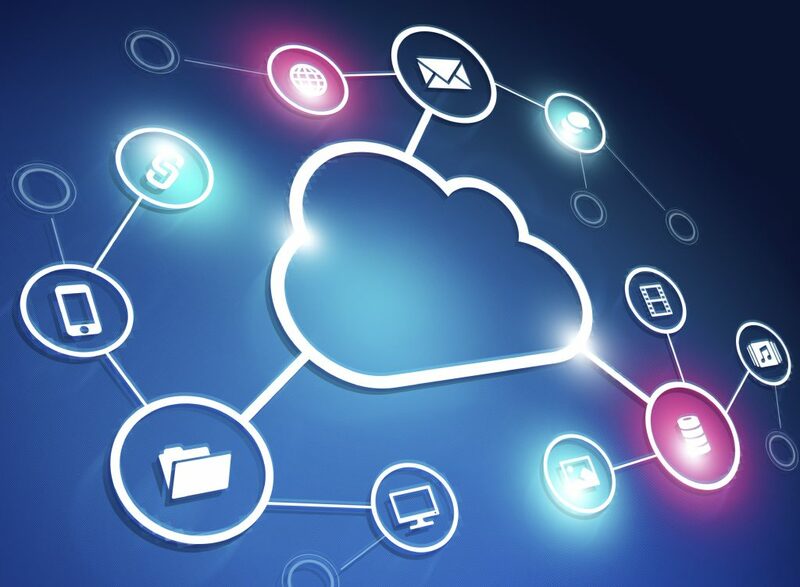 For those of you who aren’t entirely sure what running your business from the cloud means, it is the ability to access your data wherever you have an internet connection. This allows businesses to operate via phone, tablet or laptop at anytime from the office, on the field or on the road. Running your business through the cloud means you have the ability to respond quickly to business needs and have more agile operations with an all in one business management solution. One solution that enables you to mange your financials, improve customer services and run your business anywhere. So how can the cloud help me to grow my business? Save on costs – running your business from the cloud eliminates the high outlay cost of hardware. Customer focus – you have more time to focus on your customers and growing your business as software updates are handles for you. Flexibility – you can purchase from 1 – 200 user licences with a pay as you go option from just over £50 per month. Collaboration and engagement – All employees accessing the same system and documentation. Business efficiency -Increased collaboration means less time spent on separate systems. Employees are able to sync up and work on documents regardless of where they are. Security – as information is kept in the cloud, there is less of worry compared to if anything were to happen to a computer. Customer support desk – Prodware customer support desk on hand to fix any issues in the shortest possible time. Boost sales productivity – Accelerate the quote to cash process. 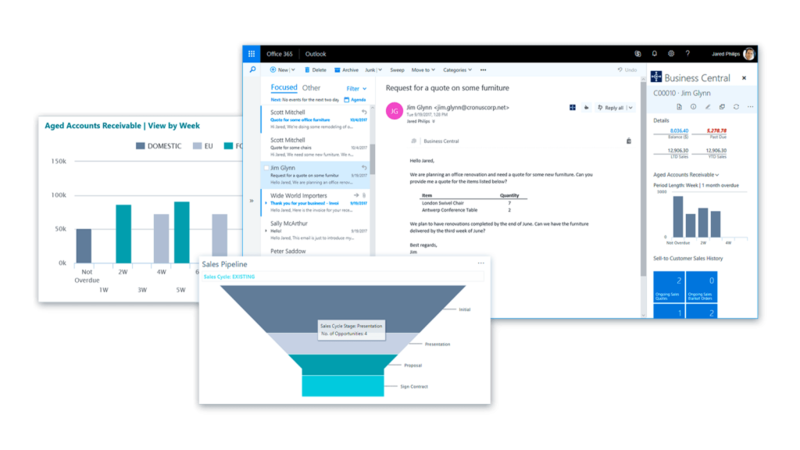 Act quickly on sales-related enquiries, manage service requests, and process payments—all from within Outlook. Whether you are an entrepreneur, your business is growing or you’re an expanding enterprise choosing Microsoft Business Central and Prodware is the solution for you. As Microsoft’s largest Dynamics partner in EMEA our IT experts have successfully implemented both cloud and on premise projects and are able to use their understanding of different business needs to adjust the software to meet different companies’ requirements. Microsoft Dynamics AX | Dynamics 365 Enterprise Edition | What’s next?